Sometimes no matter what you do you can not get your fringe straight, well for me it’s a stubborn piece of hair on the top of my head! Hi Mr Sketcher! 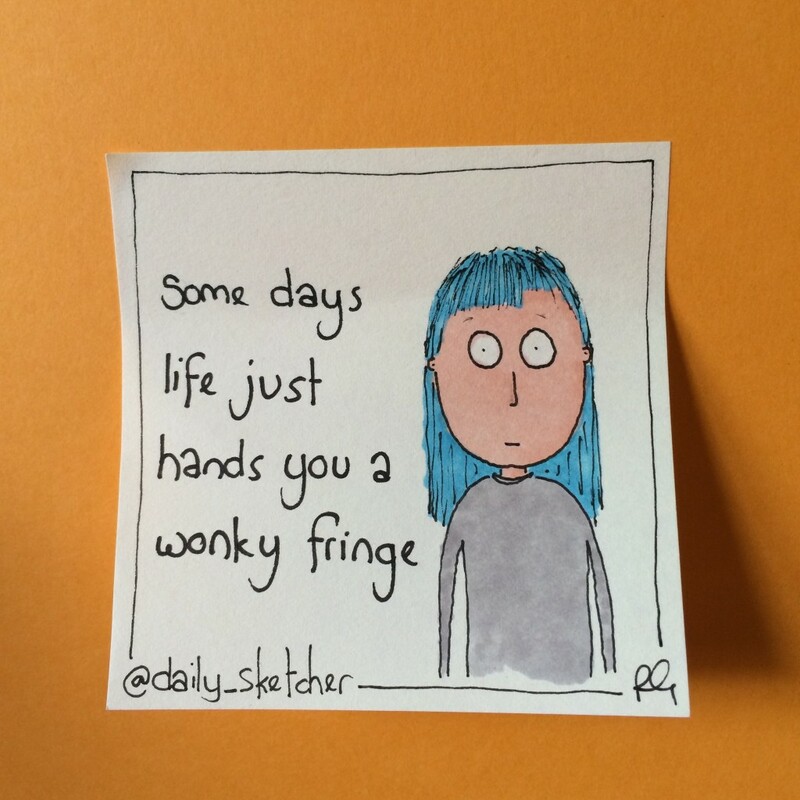 I wonder if the “…..life just throws you a wonky fringe” image is available framed up?